Good Nutrition is Our Mission: A Healthy Living Workshop was a five-week health and wellness program with a certified nutritionist. The program was offered to residents at MPB School. Each session focused on different topics including: water is life, healthy fats, healthy snacking, sugar blues, as well as various cooking presentations. Residents enjoyed interacting with the nutritionist Anita, who also provided basic education on healthy eating and the effects on the body. 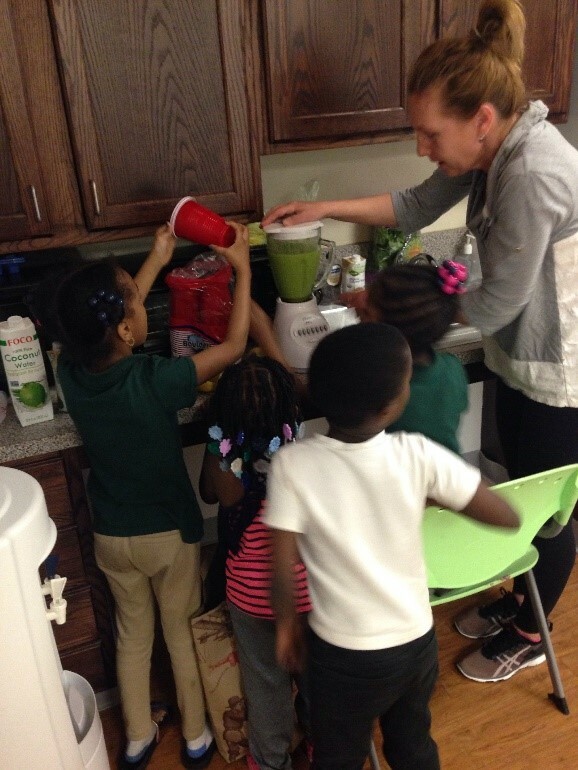 At the end of the last session children were invited and encouraged to participate and helped Anita make super green smoothies for the entire class.